The start of a New Year is, for me, a time of reflection and celebration as well as a time of looking forward. Sometimes, if we’re not careful, the years shade into one and we don’t take the time to simply stop and look back and see just what we have to be grateful for. One of the things I do during the year is to keep a glass jar filled with all the great things that happen… not just the big things like special events, holidays, achieving goals… but the little things too. Some of the compliments I’ve been paid, the moments when I pushed myself to achieve something, the days when something has gone right. I can’t remember which of my friends suggested it – but thank you. Here’s mine – an old Kilner jar – empty at the moment (hey, it’s a new year, give me a chance…). Every year at the end of the year I take each of the notes out of the jar and read them with gratitude, remembering some of the great things that have happened. Even in a tough year, there are still some great things happening to each one of us – moments that bring us joy and elation. And then I gather them together and hold a burning bowl ceremony – this year as I was considering this and reading through I suddenly noticed the most awesome sunset over the houses – so I jumped on the bike til I had a good view of the sunset and set fire to each one in a bowl. It just helps me to recognise what’s been great about that year, to be thankful for it, and then to release it – to let it go and clear the slate for the next year. And the beginning of the year seems to be a good time for it. You might find a better time that works for you – other cultures celebrate New Year on different days. The burning bowl allows me to let go of the sadness of the year that’s gone, too. Dreams that didn’t happen, things that went wrong. Perhaps for you it was a love affair that didn’t work out – or didn’t happen at all. Perhaps you’re still struggling financially. Maybe the new job you wanted didn’t happen, or the new home didn’t materialise. Maybe you’ve been struggling with ill-health, or have had family problems. Maybe the goals you’ve had didn’t happen – for whatever reason. While those things may remain, this is a chance to breathe – a chance to know that that was then – and this, today, is a new day. Today, things can be different. Today, we can open our eyes, look to the skies and believe that we can start again. For me, the exciting thing is to start to look at the year ahead. I’ve got a journal that allows me to do just that – to write down what I want to achieve next year. And for me it’s a hugely important time, because the choices I make are going to motivate me through next year. I’ve chosen to take huge chunks out of my week to do this – not just to grab for the easiest and most obvious goals, but to really choose to listen to my heart and find what will truly motivate me – that will allow me to step into all I can be. So, for you….What’s going to drive you and motivate you next year? What do you value? What’s important to you? You can choose the characteristics that will form the year – abundance, adventure, peace, freedom, love, family, growing, change – whatever words you choose – and you can also (and perhaps most importantly) choose how you want to show up next year. What sort of person do you want to be? What gifts do you want to share with the world? How do you step into the true magnificence of being you? How are you going to unleash that on a world that, truly, is ready for what you have to offer. And only then do I turn to goals for the year – goals that will help me express who I want to be. I’ve got some huge goals for 2014…and I have some simple ones too. But each one of them excites me and thrills me. They are not goals I feel that I ‘should’ do to conform to some stereotype…. but goals that move me, things that I want to do with all my being. So, for you – how do you want 2014 to be? Let’s choose to throw out the new year’s resolutions and decide that this year – THIS year – is going to be the year when we really show up for life – where we decide that we’re going to fill the year full of adventure, full of experience, and above all – full of joy, and happiness, and peace, and love. … or so goes a popular inspirational quotation. And actually, it’s one that I firmly believe in. We tend to look at failure as a disaster, when the easiest thing to do is to treat it as a learning exercise. “Well, that didn’t work – so I’ll try something else next time”. The famous (and, it should be said, apocryphal) tale of Thomas Edison was that after blowing his house up at his 10,000th attempt to create a light bulb, declared that he hadn’t failed once – he’d just discovered 10,000 ways not to do it. Yet feedback can be astonishingly painful and uncomfortable, whether it’s a comment from a spouse or loved one, or a performance review from your manager at work. So how do we do it better? Many of you know I dance – and dance the blues. I had the privilege of attending a Mariachi weekend run by the amazing team of CJ and Yliander (www.mariachi.info) a while back, and while initially bringing up images of moustachioed Mexicans with trumpets and acoustic guitars, the reality is somewhat different as an opportunity to dance to the music that I love… rock and blues and anything with a guitar in it (if we discount the rebellious early morning set from Messrs Rodham and Shillito where no guitars were allowed). All of which is a diversion and context for the rest of this piece, so perhaps I should get back to talking about whatever the hell I was talking about. Ah, yes, feedback…. After a weekend of dancing and classes, we formed up for what was billed as a “Portland Dance Lab”. Here the idea was that we danced, and then our partner got the opportunity to give us feedback. And I have to say it was one of the scariest moments of my dancing history, as I am fully aware of many of my dance shortcomings, and so expect that there are many others I am not yet aware of! With each new partner we asked the questions “would it be OK if I observe you while we dance?” and “would it be OK if I gave you some feedback when we’ve finished?” And off we whirled into a dance, and afterwards one of us – either the lead or the follow – would offer constructive feedback. There was only one rule: “no feedback on the feedback”. And of course, because we’re all nice people in the dance world, we got a lot of lovely feedback, and all went away very happy. And I could relax. First of all, we knew we had permission. Often we get feedback that’s unsolicited, unwanted. Now, most of the time, I welcome feedback from those that I respect and trust, from those that love me. So for them, I have given them permission to tell me what they think, knowing that they love me and want the best for me. I’m not so open (although I will usually listen) when someone I barely know gives me feedback! (A couple of weeks ago, I was dancing with someone who, when we’d finished, said “that was a fabulous dance….” and I could almost taste the word “but” in the air. She went on to explain some finer point of the dance, which I have tried to incorporate – yet the use of the word “but” completely destroyed her earlier compliment. And in fact, having talked to others, and listened to my own dance teacher – she was actually not entirely correct in her assessment either, by expressing a personal preference as universal truth. Secondly, we had to accept it. “No feedback on the feedback” meant exactly that. No arguing with it, no chance to put your own point of view… just listen to it, accept it, learn from it. Of course, we’re free to discard feedback we don’t think is helpful… but at least we have listened. When I was training to be an NLP trainer, we were put in many, many situations where feedback was given. Our answer was to be the same each time: “Thank you for the feedback”. That meant we were free to listen to it, to learn from it, and to accept it or reject it as we chose… but never to argue with it. Of course, we also argue with positive feedback, don’t we? “Oh, it was nothing”. “Oh, you mean this old thing?” When someone tells you something you did well, or compliments you.. accept it. In fact, I’ve learned to treasure these moments. I actually have a notebook in which I write this kind of stuff down. In the lower moments in my life (yes, I get those too) then I can go back and look at them – and also, they also contain the seeds of understanding who I am – many of the comments that people have made have been used to shape the direction I have taken in life – helping me to truly know my strengths. I learned somewhere that one of the best ways of giving feedback is actually not to mention what someone got wrong at all. Talk about what they got right. The amazing thing is that they’ll actually focus on that, and do more of it. Focussing on the negative doesn’t help. If you need to, find a way of reworking the ‘negative’ into something positive – find a place where they got it right, and focus on that. So.. feedback. Learn to listen to it, accept it, use what works and what helps you – and just let the rest drop. If it doesn’t support you in your growth and in your own personal journey – then just let it drop. Because the real thing that matters is that you remember just how amazing and incredible you truly are. I really connected with this wonderful picture of a phoenix, rising from the ashes, as I consider the journey that I’ve been on – the moments of defeat that I have faced, the heartbreak and the moments when I have lost touch with myself, with my purpose, and even with a sense of who I truly am. I have often had to remind myself that the “dream is real”, as Morpheus had to remind Neo in ‘The Matrix’. I’ve been on an incredible journey through my life.. sometimes painful, sometimes exhilarating, sometimes happy, sometimes sad. There have been moments when I have been bursting with joy, feeling as if nothing can stop me… and there have been moments when I have been crushed by deepest depression and disappointment, unsure if it is worthwhile going on. There have been times when I have been totally convinced of why I am on this planet – certain of what I am here to do, of what I want to bring to others… and there have been times when I was completely convinced that my life was meaningless, and that I had nothing of value to say. I’ve been on a deep, deep journey ever since my teenage years – a journey into trying to work out how the world works, into what moves people and guides them, into the hidden truths of science and faith. I’ve looked deep into spirituality from so many teachers and faiths, from traditional Buddhism and Christianity through to New Age faiths and energy healing. My own path was originally based in a western Christian tradition, but I have learned how to let go of much of the dogma and misdirection around that Judaeo-Christian belief system and to look deeper for the real truths that it contained. And I have always been fascinated by how things work – from early years taking everything apart that moved (much to my mother’s dismay), through university studies of nuclear and quantum physics, to a continual fascination with the deeper truths of the Universe, looking both to the wide open spaces of stars and galaxies down to the interplay of quarks, electrons, neutrinos and bosons at the sub-atomic level. And perhaps I should admit to an expectation of human evolution – to a belief that human beings have access to powers beyond belief, if only we could find out how to unlock them. And so the stage was set for me to set out on the journey of my life. One of the side effects of a incredibly painful marriage that ended, ultimately, in divorce, was a complete loss of faith. I stopped believing in God, in a Higher Power, so convinced was I that I had been abandoned and left in deep sadness. I was wrong. Very wrong. And slowly, I began to reawaken an interest in deeper things.. yet always knowing that the truth would lie beyond the fundamentalism of my youth. One thing I did hold onto was the truth that people are amazing, wonderful, complex, gorgeous, powerful creatures – and so when I took my chance for redundancy from my highly paid high level role in global IT, it was natural for me to explore how I could help others – at first as a life coach and then adding the skills of an NLP Master Practitioner and Trainer. And yet nothing seemed to work out. I Some people asked why I didn’t simply teach what I know – yet I saw so many weaknesses in the world of NLP and of life coaching that I simply couldn’t do it with integrity. Somewhere, somehow, there was a piece of the jigsaw missing – something that would make sense out of the components. Sadly, then, my fledgling business never made it beyond ‘fledgling’ state, and I had to seek out more traditional employment back in the world of IT to save myself from personal bankruptcy. In all of that, I lost much of what I had held dear – my home, many of my possessions and – for a time – much of my self worth. Yet this time the crisis forced me into a new search. I would walk for hours by the river, trying to understand life and looking for meaning. I began to look for the true answers, wherever they might be… and in particular I began to seek out some of the truths behind prosperity. I looked at programmes like ‘The Secret’ and ‘The Law of Attraction’ – and felt that each of these was missing something at its heart – as if it was incomplete and without the missing component that made it spark into life. I devoured books on attracting wealth, on creating a prosperous lifestyle, on cosmic ordering, the power of personal creation. I studied Reiki, EFT and energy healing. I went over to Texas to study with Dr Joe Vitale, author of ‘The Attractor Factor’, and to Cork to study with Dr Ihaleakala Hew Len, teacher of modern Hawai’ian ho’oponopono and co-author of ‘Zero Limits’. I flew to Big Island Hawai’i to study Huna with kahuna Serge Kahili King on the slopes of Mauna Kea, and took the bus to Oregon to study with Neale Donald Walsch, author of the ‘Conversations With God’ series. In a search for true happiness and fulfilment I looked into both modern day and ancient spiritual paths.. continually seeking answers from new and old speakers and teachers, authors and sages. Yet this time I had determined that I would make my own decisions about what was true for me.. rather than accepting someone else’s belief system, I would press on to discover something that had meaning and resonance for me personally – recognising that this might be a lonely and solitary path. I took 12 months out to travel the world, hoping that things would begin to fall into place. I found insight, meaning and revelation in a myriad of unexpected places: walking across an active volcano in Hawai’i, standing under a waterfall in Mexico, trekking across what passed for Mordor in New Zealand, sitting in the shadow of Mt Everest, sailing in Vietnam. I sat and listened in Buddhist temples in Cambodia and Thailand, calmed my heart studying martial arts in Hong Kong, found inspiration walking along the Great Wall of China and around Uluru in Australia. I discovered divinity in a thousand interactions with amazing people, saw heaven reflected in a crystal sea, saw hope in a billion unfamiliar stars spread out on a canvas of inky velvet blackness in the middle of loneliness, miles from any city. And in all that I discovered that all of these studies, these explorations did lead me into a new place.. and in the pursuit of prosperity and wealth, of happiness and contentment, I had found myself a new understanding of the universe, of a spiritual path that enabled me to shine rather than bury me in guilt, that brought me into a new understanding of myself, of others – and echoed back to me something that I had always believed.. that human beings truly are awesome, amazing, incredible, wonderful – full of love, and hope, and promise, full of light and power. And yet, knowing all of that, I found myself lost, scared and alone, unsure of whether I could communicate what I had begun to understand. I felt inadequate to explain what I felt I knew – unsure of my skills as a teacher and as a leader, unable to write what I truly felt. Every time I tried to find a way to create a programme around what I believed, it seemed to dissolve, as if into a mist. Often all I had to keep me going was a conviction that I had discovered something meaningful, and the support of those people who believed in me and in my gift. Only now, more than twelve months after my return from my round the world pilgrimage, do I feel at all ready to begin to unpack what I’ve come to understand about the nature of reality, the nature of the universe, and the nature of humanity. So that’s led me to now – to this programme called ‘The Power of You’. I have no idea where it will take me. I have some ideas as to what to create, ideas that will help me step forward and begin to share my thoughts with others. I know it’s going to be scary. I know it’s going to be draughty. I know that sometimes I am going to be simply walking by faith. But I hope that by sharing some of my convictions and insights, that others will be encouraged to understand just how amazing they are, and just what’s possible. I don’t have all the answers.. but I know that I have some. It feels right to me, now, to just start. To unpack some of the things I have learned, and to see where that leads. A lot of people are really going to love it. Some people are going to hate it. And that’s OK. I don’t need to convince anyone… I just need to share what’s on my heart and let it find the people it can help. So. Workshops. e-books. Classes. Seminars. Products. Mentor programmes. It seems as if I have so many ideas I don’t know quite where to start… but right now feels like the right place to begin, and see where it all leads me. For me, it’s a very exciting time, and a very scary time… yet at least, for the first time for many, many years the way ahead seems clear. And to all of you who have supported me through some of these painful times of deep introspection – friends, family, students, dancers, coaches – all those who have dared to believe in me and encouraged me to keep going – from the bottom of my heart, I thank you. You will probably never know how much your love and encouragement has meant to me. I’m back. PS – if you haven’t subscribed to regular updates from me then go HERE now and subscribe to ‘Pathway To Power’. That’ll add you to my new – and FREE – regular programme and journey into discovering your own personal power – ‘The Power of You’. Special Powers Would Be So Cool . . . When I was younger, I was always caught in class daydreaming…. The teacher used to despair of me, as my attention wandered yet again to some incredible world where anything was possible – where any of your dreams can come true. I often used to dream of being a superhero, like in the comic books. It was incredible – just imagine, they seemed to be able to do anything. Any problem that you could think of, they could solve – just zoom in and anything was possible. I used to long to have some super powers of my own, you know. I used to love the Human Torch – when he was on fire he could fly, and he tended to ignite anything that was around him. Or Cyclops, whose eyes would blaze with power, sweeping away anything that got in his way. Or Storm, who could control the elements and the weather, who could change what was happening in the world around her. I used to love DareDevil too. DareDevil was blind, but his other senses had become so incredibly powerful that he could sense what was going on without being able to see – he was almost magically aware of his environment. One of my all time heroes is the wizard Merlin. He influenced a nation and an entire generation with his magic. Legends and myths surround the man, and of course we have no real idea of who the real Merlin was. There is something in Merlin and Arthur that calls to all of us. I often sit back and chill out and imagine what it was like back then, in a different world and a different time. A time of incredible poverty, with smoke drifting across the landscape from a myriad cooking pots and open fires, a time of wildness and lawlessness, a time of great poverty and fear. And yet, a time of great opportunity, when anything could happen, where nothing was quite what it seemed, where power was hidden in the humblest of vessels. Remember that Arthur was just a poor serving lad, the lowest of the low.. who had been offered a chance of a lifetime to be the squire for Sir Kay, one of the knights of the realm. Something was already calling our hero – events that would have massive implications for him, for his nation, and for history. Arthur’s impact was to stretch far beyond the movies, far beyond Disney, far beyond the tales that are told: somehow it touches all of us. Arthur’s arrival at court coincided with a tremendous uproar in the castle. Everywhere around people were rushing to and fro, lord and commoner alike were fighting to see what was going on. At the centre of a ring of people stood the great sword, embedded up to its hilt in rock. Rumours went round – that someone would be able to pull the sword from the stone, would be able to wield its power, would be allowed to rule, would be able to tame the wildness at the heart of the nation. A little way away, warming his hands around a campfire, sat a man almost hidden by his beard and cloak. But his eyes were bright as he watched the scene unfolding in front of him. There seemed to be something almost unworldly about him – almost as if he was the centre of the events that had captured everyone’s interest – as if the world revolved around this one man, and not around the sword, and the rock, and the kitchen lad who, to the shocked amazement of the crowd, had pulled the sword from the stone. So, what is it you want to achieve with self hypnosis? Perhaps you want to learn to relax and eliminate stress. Perhaps you want to be able to activate your unconscious mind to help you solve problems and get answers to your challenges as if by magic. Perhaps you’d like to rewire your brain to be able to give up smoking, or lose weight. Maybe you’d like to be able to get a fast start on meditation and spiritual practice. It’s all possible, you know… in fact, anything is possible. What we’re doing with self hypnosis is to help you to free up the latent power of your mind. We’re helping you to find ways to access and communicate with a part of your consciousness that’s largely gone unnoticed – quietly working away day after day, achieving minor miracles of learning, response, creativity and self preservation. We’re going to learn how to learn how to operate as a single mind, to unleash connections that you never thought you had, to tap into resources that you simply weren’t aware of. The possibilities and opportunities are absolutely incredible, you know. You can order the full version of the book from Lulu in paperback, Amazon in Kindle format, or download the ebook PDF – just follow the links below. Each version gives you links to powerful hypnotic processes to help you move into the life you dream of. Use the power of your mind. . 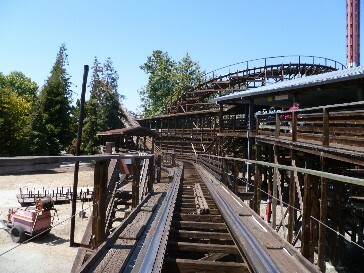 I actually found going to Great America theme park a bit of a guilty pleasure – I think I had been so focussed on finding meaning in my travels, and spending time trying to get my head together that the thought of some mindless fun was a bit beyond me. So I made an agreement with myself that this trip was going to have lots of FUN in it from here on in. Sure, there are things I want to do – and yet there’s a place for simply enjoying myself. One of the real fun things was the chance to ride the coasters up front – I queued for a few minutes longer to get a front row seat on all the rides – but I did observe an interesting internal response to this – a reluctance to put myself first. It was almost as if I didn’t belong up front. Now, intellectually I know I can ride up front – but somewhere, deeper in my psyche, something was yelling ‘no, you need to hide at the back’. I’m hoping I learnt a lesson – that it’s part of my divine right to be up front. In fact, it’s part of my divine calling to be up front – visible – on stage – out in public…. And I hope I’ve finally got hold of that now! I’ve come to the end of my time in Hawai’i now, and I have had an incredible and transformational experience. My time on the Big Island was one of encountering fire – when I walked through the lava tube I knew that I was entering a new phase of my life, and it just felt as if the fire energized that change, creating the warmth and the flexibility for God to do new things in my life. I had amazing connections with the spirit and presence of wind, swirling and energizing, blowing away the old to make space for the new, and carrying my prayers right into the heart of God. I had a true sense of the power of rock – its certainty, consistency and stability. And if Big Island was about fire, Maui has been about water. I have swum with honu, the sea turtle, and understood their wisdom and sense of peaceful calm certainty and knowledge that everything is OK. I have leapt off 35′ ledges into the sea, and into deep water caverns… a sense of bravery and courage that will serve me in the future – a willingness to leap into the unknown. Each one of these experiences I also experienced as a new cleansing and clearing, creating a new truth in me ready for my new work. We walked to an amazing waterfall this evening – I walked out and stood underneath the driving water, allowing it to clear away everything, to wash me clean, to excoriate the old, revealing something new and living for me. As I left the waterfall, I realised that my journal had been in my pocket.. I won’t be using that journal again! And I heard God chuckling as he drove the point home. All of my previous weaknesses, my old fears, the places where I was ‘stuck’, the areas where I was struggling, my previous failings and my previous incomplete understanding had all been washed away. And God gently reminded me that, really, there was nothing to wash away – it was only me that needed to know that I am perfect, just as I am…. Only me that needed to know that I am doing just fine… Only me that needed to know that I am perfectly equipped with all that I need for the future. I sense that God doesn’t want to hang around with what is being achieved in my life through this trip, and he wanted to make sure that I knew that the old was cleared away early on – so now we can build something…. It feels as if I have been led to this point, you know – the last few years at Unilever fuelled a pension plan that would enable me to live – frugally, but provided for, while my role at Really Lovely People came to an end at the right time for me to consider this as an option. My friends seemed to be encouraging me to do something different, and I felt in envy of some of the things they had done. So what was it going to be about? Well, partly, a huge pattern interrupt to get me out of my current way of thinking and into something entirely new. Partly, moving away from situations that weren’t really serving me very well – things that had become ‘stuck’. Partly, a chance to see the world, to experience new cultures. Partly, a desire to experience some of the magical places in the world – to see things I had never seen, to find those places where God stepped into the world. I’m on this adventure for a reason – not as a holiday (although it will be) – not for the experience (although it will be an amazing experience) but rather to be changed and to be transformed. So, bring on the adventure, and we’ll see what happens. I’m ready for God to do anything….. Thinking back, my spiritual journey began at a very early age… but it would only be much later in my life that I realised how significant some of those moments were. My parents weren’t particularly spiritual, and apart from a couple of weeks at Sunday School (I hated it!) I used to get dragged along to church once a year on Remembrance Sunday. My uncle had been killed in the war so my father used to take us along in memory of him. It was cold, it was uncomfortable, and it was boring. The earliest event I can recall that had some sense of the magical to it was when I was left in my pram outside the local post office. Now they had a milk machine there (this was before the days of Coke vending, guys) and I just started to press the buttons. Incredibly, milk cartons started landing in my pram. It wasn’t until much later in my life that I realised the link with how interconnected I was with machines – a kind of modern day shaman, if you like – someone who has such a tight affinity with technology and machinery that it responds almost magically to me. Another event I didn’t understand the significance of was at junior school. Every year at the Christmas party, we would have a fancy dress parade. I chose to go as Mercury, the messenger of the Gods, with my winged hat, my winged boots, and a toga. Probably best that you don’t try to imagine it. Now, local kids being who they are, they simply didn’t ‘get’ it and laughed me out of the parade. It took me a long, long time to lose the story of being laughed at because I’d tried to be different, because I had tried to stand out.. because I had tried to be true to my identity. I suspect that somewhere in my being I decided never to stand out in the same way again – never to risk being the subject of people’s jokes, never to risk ridicule… and so, like so many of us, I began the journey towards shrinking down and settling for second best.. of not letting my true awesomeness out. But somewhere in my heart I knew who I was. I knew the job I had to do. I knew, deep down inside, that part of my role on this planet was to be a bridge, to be someone who would look to stand in the gap and help to bring God’s presence into people’s lives – someone who would, eventually, seek to be a man who wanted to bring one simple message… “Remember Who You truly Are”. You know, it actually doesn’t matter whether you believe any of this stuff. In fact, it doesn’t matter to me whether this stuff is real either. When I was doing my NLP training, my trainer said something that really made me stop and think. You see, we as humans seem obsessed with ‘truth’. We want to seek out the genuine ‘truth’ behind something. And maybe that’s important and maybe it isn’t – and here’s why. In NLP, we learn a whole series of ‘Presuppositions’ – principles on which NLP is founded, the core precepts of you like that lay the foundations for everything else. Things like ‘the meaning of communication is the result you get’ and ‘there is no failure, only feedback’. (There are some truly lifechanging presuppositions that are the core of NLP, and if you want to know more, book on an NLP course – in fact, I’m considering running one myself, probably called “It’s NLP, but not as you know it”). Anyway, what my trainer said was “I don’t know if this is true or not, but what I do know is the effects that believing it produce in my life”. So, I have no real way of knowing if God exists or not. I have no real way of knowing if the things I do in pursuit of God are the best or not. But what I do is to look and see if I like the effects they are having. Does believing this make me more positive (yes). Does believing this make me more loving (yes). Does believing this give me more hope (yes). Do other people like the person that I am (yes). So, in the end, if my beliefs, and my values, and my behaviours produce these sort of results in my life, it doesn’t really matter if it’s true or not, does it? And, sure, I believe that God is real. I believe that we are all ‘God’. I believe that there is no ‘death’. I believe that we can change the world around us. 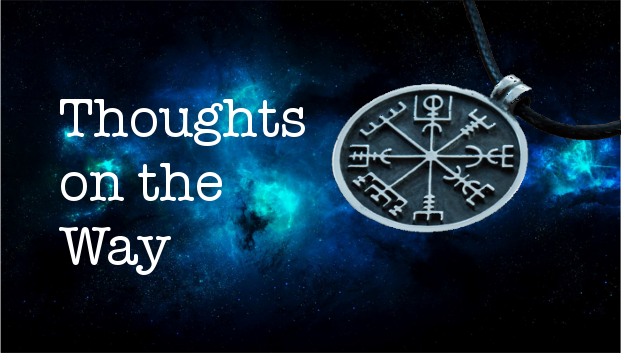 I believe so much – and in so much magic and wonder, power and freedom – and much of it we will explore in the coming weeks and months in this blog. And yet, provided that what I believe is helping me be more loving, more able to help people, more able to help myself, making me more confident, more capable, more full of hope, and life, and joy, and freedom – then, in a sense, whether or not it is ‘true’ isn’t the important thing. Because I like the effects that it produces. More and more over the recent weeks and months I have found myself being drawn back to my roots – back to a world that I thought I had left behind a long, long time ago. Over the last few years I have felt my relationship with God becoming deeper – I have felt the liberty to explore a relationship and a friendship that I thought had disappeared long ago. Through many of the deeply uncomfortable experiences of recent years – relationship pain, financial difficulties, crises of confidence – I have been brought face to face with my God again in a whole new way. Through studying and learning from many of today’s teachers, visionaries like Neale Donald Walsch, Marianne Williamson, Esther Hicks, Rev. Julie Wilbourne and many more, and through walks by the river, in the park, around the streets of the city, through walks in the rain and the storm, through conversations with friends, I have come back to a new and clearer relationship with a God that I thought had vanished from my life – but who I am certain is alive and in charge of what’s going on on this planet, in this universe, and in my life. I’ve learnt to surrender to God in so many ways – to hear his voice, to sense his directing me in a certain way. And for that – well, I am truly grateful, and really blessed. And yet over the last few months, I have found another relationship calling to me. Another part of my spiritual walk that I thought had been left behind, something that I had grown out of, that had served me in my youth – and yet I had seen through the myth and the legend, and had moved on. And yet, still, this voice continued to call to me. This name continued to pop up, continued to face me at every turn. In everything that I studied, everything I learnt, there seemed to be a common thread… a common factor. Sometimes explicit, sometimes standing in the background – and yet ever present, continuing to challenge me to face that relationship again – to re-open a conversation that I had thought long past. And yet, as I continued to pray, to meditate, to learn, I realised that this was the route to power, the route to love, the route to freedom. While the relationship with God was core to who I was, I needed a model, someone who would show me how to live that life – what it truly meant to be in a relationship with God. And for me, that brought the presence of Jesus back into my life. I didn’t expect that. I left the Christian church in despair and despondency. I had become a Christina aged around 17 following a dramatic encounter with what seemed to be very real supernatural forces at a Methodist retreat. I had fallen in love with a beautiful Christian woman (who I later, to my eternal regret, broke up with as her path deepened and mine didn’t). I studied as a Methodist lay preacher, and became increasingly trusted as a ‘leader in training’. During university years, I became part of the ‘charismatic movement’ – a grass roots movement that believed that the power of the Holy Spirit still moves on the earth, and that wonders and signs were available to all who were ‘baptised with the Spirit’. I was baptised by full immersion in a church in London (strictly speaking, twice – a little old lady at the back shouted “his head’s still dry – it’s the mind that’s got to go under”… so they threw me in again). I became leader of the University Christian Union – a surprise to me, and even more of a surprise to the rather stuffy governing body for university Christian Unions, when I and my precious group of fellow leaders transformed the CU into something full of light and joy rather than a bible study group. After university I found a lively spirit filled local church and became part of the leadership team, throwing myself into creating a new way of living a Christian life – following the Master, Jesus, and seeking to live by his love and his example. And then it all fell apart. My marriage (which had been the first in that church) fell apart. I felt lost, alone, trapped, afraid – and disconnected from God, from the Spirit of God, and from Jesus. Everything that I had followed for years crumbled around me, and I walked quietly and sadly away from the faith that had fed me – convinced that it was untrue – or, at the very least, that I would never find the way. Although my marriage did eventually fall apart, I found success in work and in friendships – and in my love for my children. I continued to work on myself, and after a while I began to seek a new spirituality – one that left behind the traditions that I had rejected, yet was fresh and new. I began to study the world of self development through seminars and books, workshops and in private conversations – until I decided to go it alone to create my own business. And yet, that too failed after a few years, leaving me in debt, lost, alone… and brought back, face to face with my God. As I walked in the early hours of the morning, wrapped up against the cold and drinking coffee to keep warm, I learned to put my trust in a God who loved me and cared for me – I learned to to have faith that I was being cared for, and that everything would be OK. But still no sign of the mysterious Jesus that had been core to my early beliefs. No sign of a demand that ‘no man comes to the Father but by me’. No indication that ‘only through Christ Jesus may you be saved’. In fact, much of the content I had read, the learnings and teachings that had been part of my new spiritual life, seemed to show that all spiritual paths led to the same God. I could not believe in a God who would reject people and ‘cast them into everlasting darkness’ simply because they had never heard of Jesus. I couldn’t believe in a God who would make the entry requirements to Heaven so strict that few could find them. Even so, there was still this presence in my life. Still this knowledge that Jesus was there. Waiting to be acknowledged. Waiting to stand by my side. Waiting for me to follow him again. Over the last few weeks I have been certain of the presence of Jesus in my life again. I’ve found that he has been restored as a teacher in my life, as a supernatural being, and as my friend. Through working with Julie Wilbourne and through messages and through teachers that I have encountered, it has become clear that I need to pay attention to the man from Nazareth again – to sit at his feet, to welcome his friendship – and to allow myself to follow his path. And as I do that, then the Holy Spirit of God will fill me in new ways – restoring the years the locusts have eaten in my financial affairs, and in my relationships – but more importantly in my gift, in my faith, and in my power and presence as a man of God. Now, there’s so much I don’t yet ‘get’ about what that means, yet, but I know I’m learning. I’m not about to walk back into the traditional Christian church – whether with the traditionalists of High Anglican and Roman Catholic, or the family focus of many of the younger churches. I don’t believe that the only way to God is through Jesus. And I know that I have to find my own belief, my own understanding of the nature of Jesus – not simply to cling blindly to someone else’s dogma. So that seems to be the path that I am on – to renew the relationship with Jesus that I thought was long behind me. To follow in his footsteps, to become, as Julie put it, a ‘registered disciple’, ready to learn, and follow – to look to Jesus’ example of how to live his relationship with God every day. It’s not really for me to know what that means in terms of a ‘ministry’ – although I believe it will be part of that. It’s not for me to know what it means in terms of what I create, what I write: although I suspect that much of my gift to this world will be to reveal a new way of walking with the Son of God. I don’t want to ‘reveal the historical Jesus’. I simply know that I want to love him, to follow him, to understand him – and to live by his example. Yesterday, I got a whole new sense of destiny… and perhaps some of the reason why I have been going through so much crap lately. You see, I have been trying to sell my house for a while – and have just been told that the building society will not let me sell as it is a negative equity situation. Now, I am really frustrated by this, and will have to take some very hard decisions about the future, and how to deal with this and the rest of the debt I have amassed. And I feel very guilty about what has happened – and although I have made mistakes, there are many things that I couldn’t avoid – like not being able to find a job for ten months. And, while thinking about all this, I realised that from God’s perspective, the building society debt, the credit card debt, and the rest of the burden that I have been carrying is actually irrelevant. And, somewhere under all that I realised that God was saying ‘Set my people free’. God would rather see me free from the burden than see the building society get their money. Sure, I know that I ‘owe’ that money.. but in the end, it’s just money. So this helps me look into the future with new eyes and with new freedom – and will guide some of the choices that I might make. I’ve been so burdened with all this, that actually suicide has been a possibility… and I realised that that is just stupid, when it’s possible to step free – when English law allows for us to claim our freedom from financial imprisonment. Will I go bankrupt? I have no idea. But actually, that’s not the point. What the point IS, is that freedom is our birthright as children of God. In fact, it’s actually one of my highest values, and I have been trying to work out why that is. Is it a rebellion against my marriage? Or do I feel shackled by my own beliefs, my perceived limits, my ‘story’? Did I feel restricted by my religious upbringing? But what is more important is that this is part of my calling. In the same way that Moses was called to demand that the Pharaoh of Egypt ‘Set my people free’. Moses had to encounter God in a new and unexpected way at the burning bush. And he had to give up his privileged position in order to step into the new. He had to leave his place in the royal court of Egypt in order to lead the people of God. And somewhere, deep within my being, I resonate with that. I believe that part of what I am called to is to declare the same. Freedom from the lies and the rules that are woven round our lives. Freedom from the demands of the media, of society, of our financial institutions. It has been this way – and yet it doesn’t need to be. And maybe I had to experience the crushing burden of financial debt in order to understand what freedom feels like. I want to see people set free from the limits they place on themselves, to reach for everything they can possibly be. To be free from guilt. Free from the rules we place on our lives. Free from the words ‘should’ and ‘must’. Free from despair. I have no idea where that leads me, where it takes me, where it could go next. But it is a new chapter of my life.. to walk both into freedom, and into my calling..